Here’s a handsome looking classically styled divers watch powered by a Swiss made ETA 2824-2 that promises not to break the bank! Basic spec. 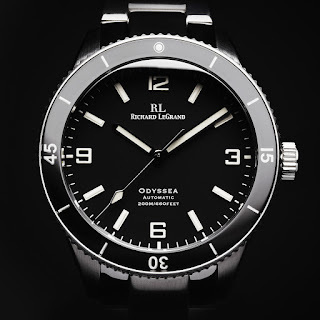 includes a 42mm 316L Stainless steel case with a Sapphire crystal bezel and 200 meters of water-resistance. Lots more details including full specifications and pricing can be found on the Odyssea’s campaign page on Kickstarter.